Utilizing the indigenous orange gourds is nothing new to homebrewing. Pumpkins have been used as a beer ingredient since before the United States was…well, the United States. Colonists who couldn’t obtain affordable malt turned to other fermentable sources to make beer, which included pumpkins. 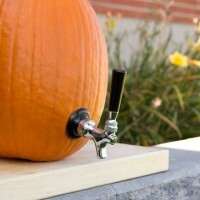 Today, pumpkin is added to all sorts of beer styles. Traditionalists will add pumpkin to a pale-colored, lightly-hopped ale comprised primarily of American-grown 6-row malt. Honey and maple syrup may also be used, as they were popular fermentable substitutes used to inaccessible grains during colonial times. Darker, roastier styles like stouts, porters and browns lend themselves well to the spices that accompany pumpkins in pie or other dessert dishes. The higher Lovibond specialty malts that create the robust flavors and dark hue make for a heftier malt backbone that can stand up to more aggressive spice additions. And there are even Belgian styles, in which the esters from the yeast meld with the pumpkin to make a unique, yet delicious experience (see the “Saison D’Potiron” homebrew recipe featured in the September/October 2013 Zymurgy article “The Quest for the Perfect Pumpkin Beer”). Yeast that create clove and ginger qualities can be artfully used to mimic cooking spice additions that compliment the pumpkin. Whatever style you brew, the goal should be balance–showcase the pumpkin and spices without overpowering the base style, but ensure the flavors aren’t lost. 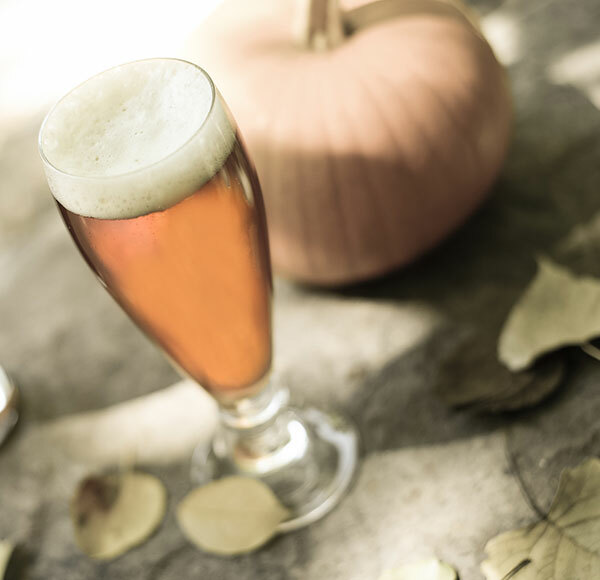 With pumpkin being subtle in flavor, it isn’t much of a surprise that it doesn’t add a lot of dominate characteristics to beer, especially if used in smaller quantities. In some instances, you’ll only notice a smoother mouthfeel from the pumpkin, while not being able to detect pumpkin-like flavors. If planning to use raw pumpkin, avoid the stereotypical pumpkins used to carve jack-o-lanterns. These pumpkins are largely hollow, have very little flesh (the part used in beer making), and are very low in sugar content. Instead, opt for pie or Cinderella pumpkins. Both typically have little to no hollow space, richer flavors and more available sugars. 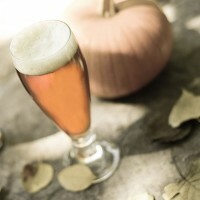 Here are a few free homebrew recipes that use pumpkin. 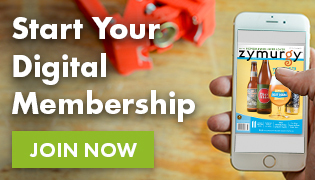 See our homebrew recipe archive for even more inspiration! If fresh pumpkin isn’t available, which very well may be the case if you want to have a pumpkin beer ready for Halloween, canned pumpkin is a perfectly suitable substitute. Avoid products that list any ingredients other than pumpkin, like preservatives. Also, don’t use products referred to as pumpkin pie “mix” or “filling.” These usually include spices, sugars and very small amounts of actual pumpkin. Spices are also as important, if not more so, than the pumpkin itself. In many instances, recipes don’t even use pumpkin but instead rely on spices used in pies to create the sensation that your are drinking pumpkin pie while somewhat tricking the senses into thinking you are consuming actual pumpkin flavor. (Editor’s note: Whether or not this is technically a “pumpkin beer” is up to debate). Especially in base styles with rich flavors, like a stout for example, pumpkin can have a hard time coming through in flavor, while spices can be carefully added to mimic a pumpkin pie. Vanilla, allspice, ginger, cinnamon, nutmeg, cloves, etc., can all be used. There are pre-blended pumpkin pie spices available at grocery stores, but this takes some of the control out of the process. Pumpkin can be added at just about any point in the boiling process, but typically before being racked into primary. It is popular to add a few pounds of pumpkin (3-5 lb per 5-gallon batch) directly to the mash. If using fresh pumpkin, it is best to prepare it by baking halved pumpkins at 325°F for two hours, then removing the skin and mashing before adding to the mash tun. If using canned pumpkin, you can simply take some of the water intended for the first infusion to dissolve the canned pumpkin before adding to the mash tun. Either way, pumpkin creates the perfect storm for a stuck sparge. Check out this post for “5 Tips for Avoiding a Stuck Sparge” when adding pumpkin to the mash, and consider performing a protein rest at 120°F for the first ten minutes of the mash. Pumpkin is also often times added to the boil, typically with 5-15 minutes left from knockout. 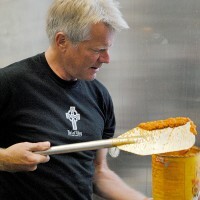 Depending how much pumpkin profile you desire and how much was used in the mash, you can determine how much to use. Lighter-colored base beers usually use a total of 3-5 lbs of pumpkin for a 5-gallon batch. Adjust your pre-boil volumes as necessary in anticipation of losing more wort than usual to the pumpkin-trub. Spices can also be added at most points in the brewing process, but they are typically added at the end of the boil and/or before bottling to help preserve the flavors and aromatics. Spices can be added directly to the boil with a few minutes left, with the tricky part being the inability to adjust to taste. If adding before bottling or kegging it is recommended to make a spice extract with a neutral, high-gravity spirit as a sanitary measure. Then, just add small increments of the extract to taste. Remember, you can always add more spice, but it’s much harder to take them out!